Mortal Kombat fans have double the finale to look forward to at this week's San Diego Comic-Con. One is the final episode of Kevin Tancharoen's live action Mortal Kombat Legacy and, immediately following, the reveal of a new Mortal Kombat character. NetherRealm Studios will reveal the fourth (and final?) downloadable character coming to Mortal Kombat later this week after the premiere of the conclusion of Mortal Kombat: Legacy, airing July 21. 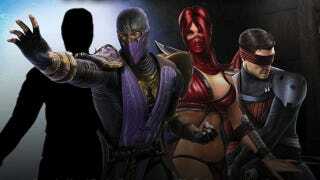 That mystery kombatant will join Rain, Skarlet and Kenshi as a playable character in the Xbox 360 and PlayStation 3 game. If you're going to Comic-Con, Warner Bros. and NetherRealm will hold an MK tournament at the Westfield Horton Plaza Gamestop on Thursday, July 21 at 7 pm. If not, we'll let you know what happens.